Man, I knew I shouldn't have had the whole impala. 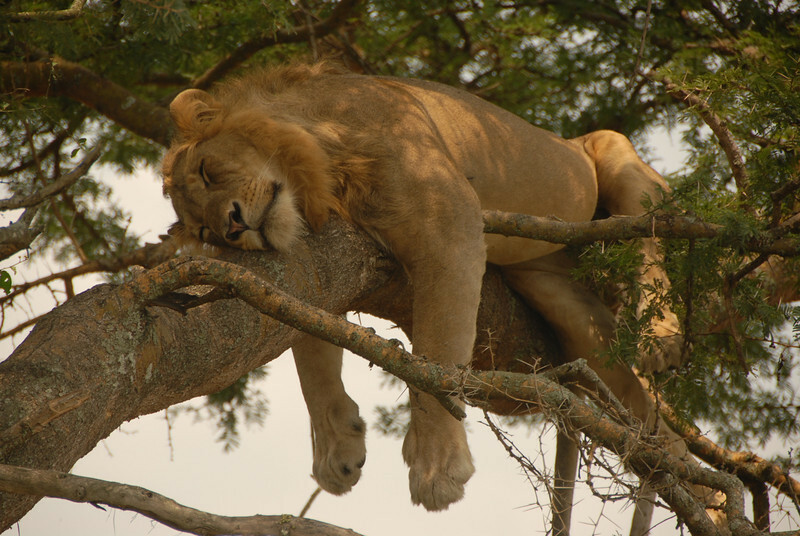 Unusual to see a lion sleeping in a tree. Great image.